Throughout his life, Antoni Gaudi was a close observer of nature, seeking rationality in its forms in order to extract from them their full potential and usefulness to construction. Intuitive, reflective, tenacious and a perfectionist, he had a tremendously innovative spirit. Antoni Gaudi i Cornet is born on 25 June, the son of Francesc Gaudí i Serra and Antònia Cornet i Bertran. He is baptised the following day at Sant Pere Priory Church in Reus, the city where he spends his childhood. His parents have four other children, Rosa, Maria, Francesc (who dies) and Francesc, named after his deceased older brother. Of all his parents’ offspring, Gaudi is the only one to live beyond 35 years of age. He begins his primary education at the school run by Berenguer in Reus. In 1863, he joins the Piarist school in Reus. Berenguer is the father of Francesc Berenguer i Mestres, a great friend of Gaudi’s and his collaborator. In the early years of Gaudi’s secondary schooling, he receives poor marks in all subjects apart from geometry and 2 arithmetic, at which he excels. He receives a classical, religious and humanistic education. 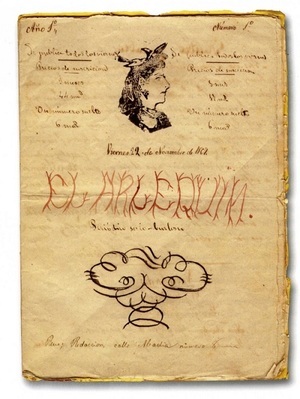 At the age of 15, Gaudi draws illustrations for the handwritten magazine El Arlequín. Twelve copies are produced of each of the ten issues of the magazine published. At the age of 17, he moves with his family to Barcelona and enrols at the Middle Education Institute as a pupil entitled to sit exams but under no obligation to attend classes. He studies elements of physics and natural history. He registers at the University of Barcelona Faculty of Sciences, where he studies a foundation course in architecture with a view to entering the Provincial School of Architecture. During this period, he lives with his brother Francesc at number 12 on Placeta de Montcada, next to the Church of Santa Maria del Mar. Together with his classmates Eduard Toda i Güell and Josep Ribera, he draws up a restoration project for the Monastery of Santa Maria de Poblet (Conca de Barberà). Prior to this, the monastery had been abandoned and was in a very poor state of repair. To finance his studies, he works as a draughtsman for the master builder Josep Fontserè i Mestres. At that time, Fontserè had been commissioned to develop Ciutadella Park. Gaudi worked on the design of the perimeter railings, the monumental waterfall, the balustrade around the monument to Carles Aribau and the cistern to 3 regulate the water supply. He continued to contribute to the park works until 1878. 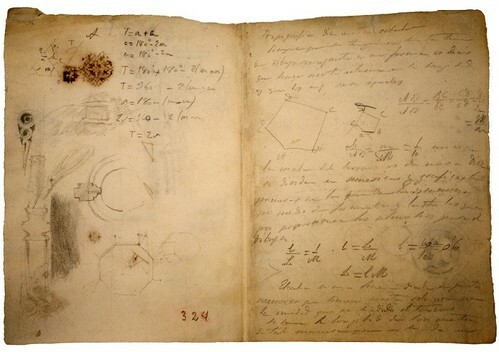 This document is a collection of notes and sketches that Gaudi kept in a folder. It also contains drawings for the pieces he did as preparation to enter the Barcelona Provincial School of Architecture. Written in the manner of a diary, it includes entries on the family home, the art of ornamentation, his personal work and his relationships with the teaching staff. The manuscript ends in 1877 with notes on a festive lunch with architects from the first year at the Provincial School of Architecture. 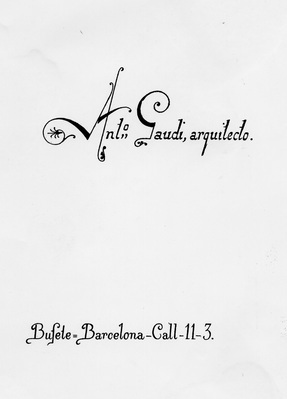 Gaudi begins the admission courses at the Barcelona Provincial School of Architecture. In 1875, he passes the foundation course. Notable projects from this period as a student include the gate to a cemetery (1875) and a jetty (1876). Gaudi designs a number of projects for subjects taught at the Barcelona Provincial School of Architecture. 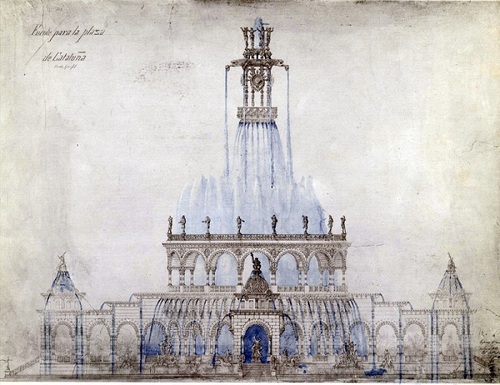 These projects include: a static calculation for the water cistern in Ciutadella Park (1875); a project for a general hospital in Barcelona (1876-1877); a project for the Spanish Pavilion at the World’s Fair in Philadelphia (1876); and a fountain for Plaça de Catalunya in Barcelona (1877). His end-of-course project is a design for a university auditorium (1877). His mother dies, a loss that affects him deeply. In his capacity as draughtsman for the architect Francesc de Paula del Villar i Lozano, he produces drawings for the apse and niche of Our Lady of Montserrat. His first business card as a professional, working out of number 11 on Carrer del Call in Barcelona. On 29 April, he becomes a member of this association. The association was founded three years earlier for people keen to go on outings of a cultural nature. During these excursions, the scientific and artistic qualities of the heritage site or monument visited were discussed. 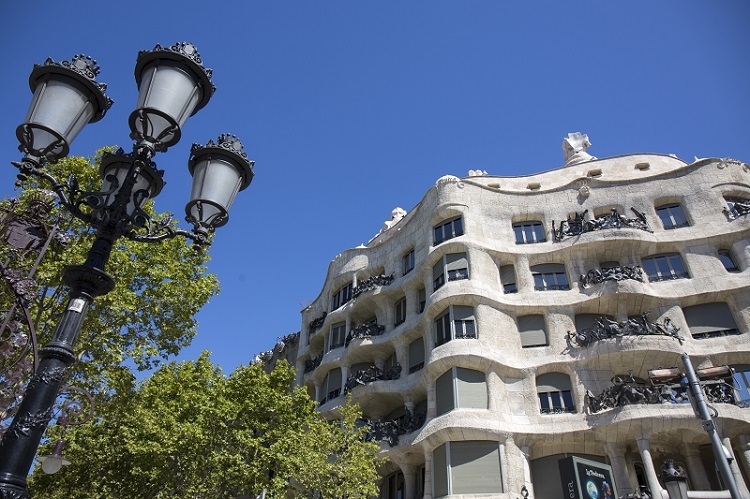 Gaudi is a member of the organising committee of the Exhibition of the Industrial Arts. This exhibition is held in December in the central offices of Foment del Treball Nacional (the main employers’ association) in Barcelona. In January 1881, Gaudi writes an article about the exhibition in Catalan, which is published in two instalments in La Renaixensa newspaper. Gaudi works as an assistant draughtsman (undoubtedly sketching paintings for some vaults) for the architect Joan Martorell i Montells. The architect was building the church of the Sagrat Cor de Jesús School on Carrer de Casp in Barcelona. Gaudi also works for Martorell on the Gothic Revival church of the Silesian nuns on Passeig de Sant Joan in Barcelona. He attends a meeting at Banyuls-sur-Mer of Catalanists on the Spanish and French sides of the border who are members of excursion associations. At the event, held on 18, 19 and 20 June, the works of Àngel Guimerà, Narcís Oller and Artur Masriera are read. The participants also visit Perpignan and Elne, where photographs of the cloister are taken. He buys the Park Güell show house, built by Francesc Berenguer i Mestres, and moves into it with his father and niece. That same year, his father dies at the age of 93. This exhibition is presented at the Salon of the Société des Beaux-Arts. To prepare the exhibits (models, plans and photographs of various works), Gaudi is helped by the architects Joan Rubió i Bellver and Francesc Berenguer i Mestres. He is also assisted by the student of architecture Joan Bordàs i Salellas and the photographers Mas and Cuyàs. The exhibition is held between April and June in the Grand Palais with the patronage of Eusebi Güell, who invests a large sum of money in it. 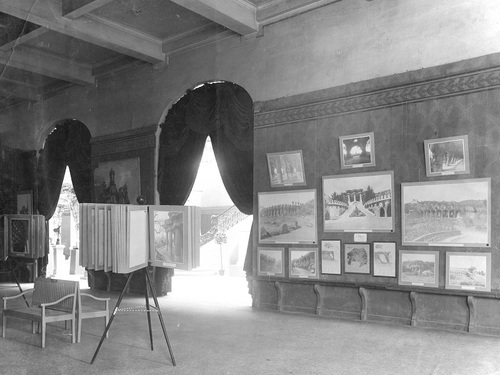 The exhibits, which are not officially in the Salon competition, are displayed in a room set aside for him. He receives plaudits from the critics for his work. At the First National Architecture Salon (Madrid), he shows the pieces produced expressly for the Gaudi Exhibition held the previous year in Paris. Once the exhibition closes, the pieces are returned to Barcelona and installed in his studio at Sagrada Família. Most of them are lost in the fire of 1936. Ill with brucellosis, he writes his first will while in Puigcerdà. His niece dies at the age of 36. Rather than remain on his own in the house in Park Güell, he decides thenceforth to live in the studio at Sagrada Família, where he spends the remaining years of his life. His patron and protector dies at the age of 71 in Casa Larrard in Park Güell. The Spanish Architects Congress is held in Barcelona. During the congress, support is given to Gaudi’s work, in particular the construction of Sagrada Família. On 7 June, at the corner of Gran Via de les Corts Catalanes and Carrer Bailèn, he is hit by a number 30 tram and severely injured. He is 74 years old. He is taken to the Hospital de la Santa Creu, where he dies three days later. On 12 June, his body is buried in the Carmel Chapel in the crypt of Sagrada Família. A throng of people gather to 7 mourn him.